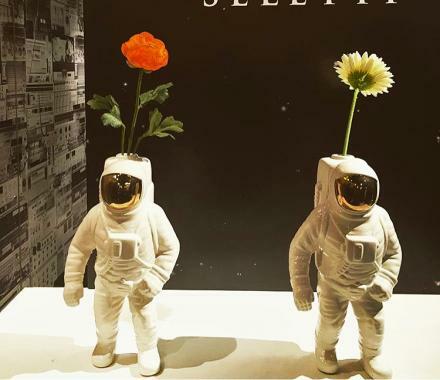 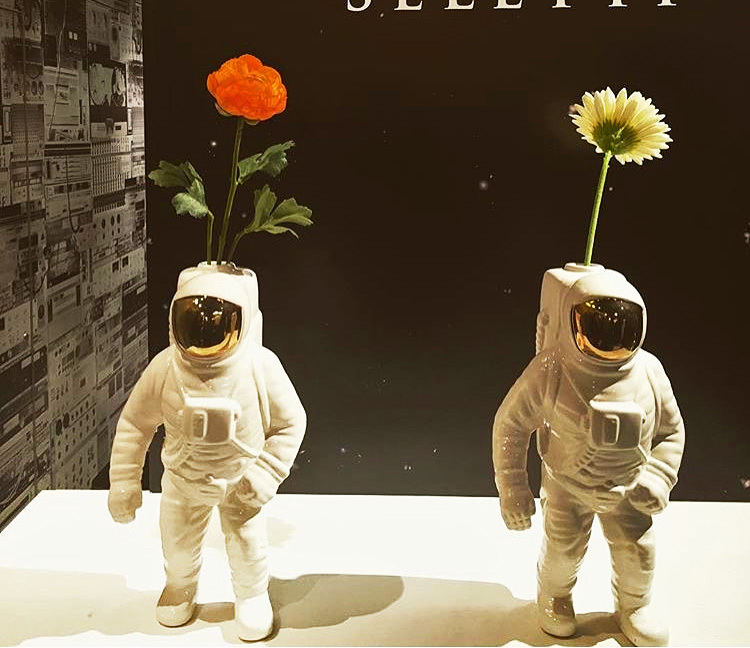 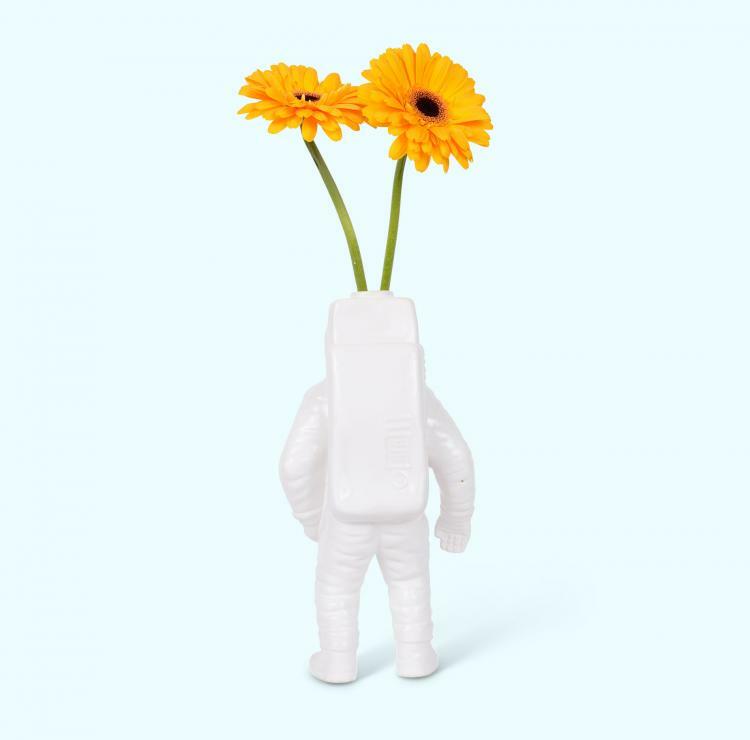 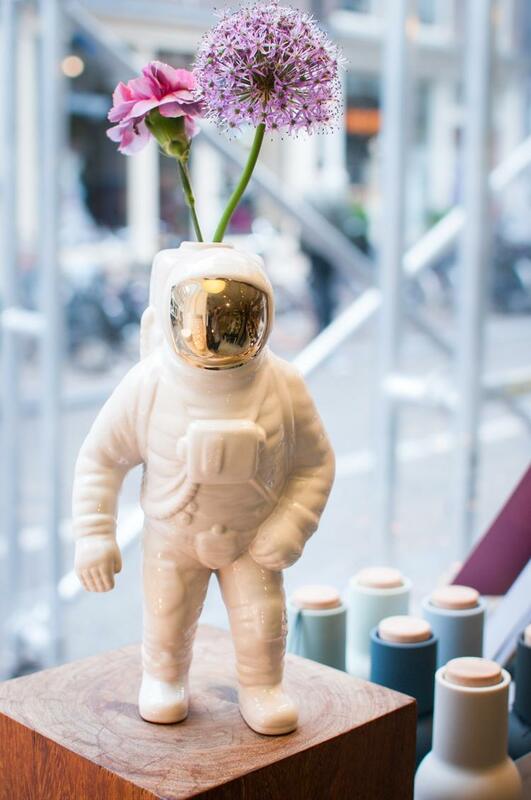 Much like how the astronaut phone stand will hold your phone for you while it charges, this astronaut vase will hold your flowers or plants on its back and act as a great center-piece on your dinner table while surrounded by your planet plates. 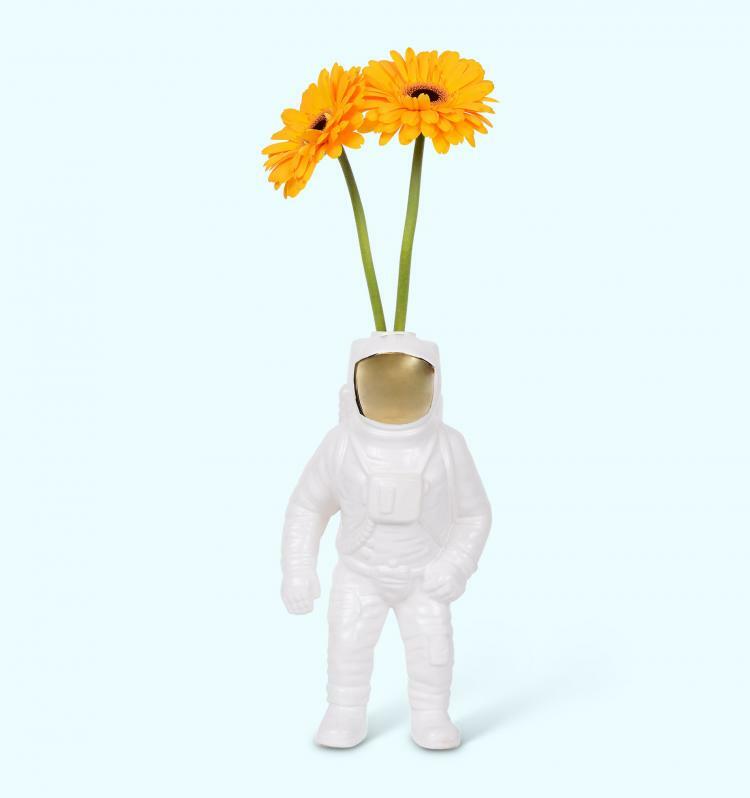 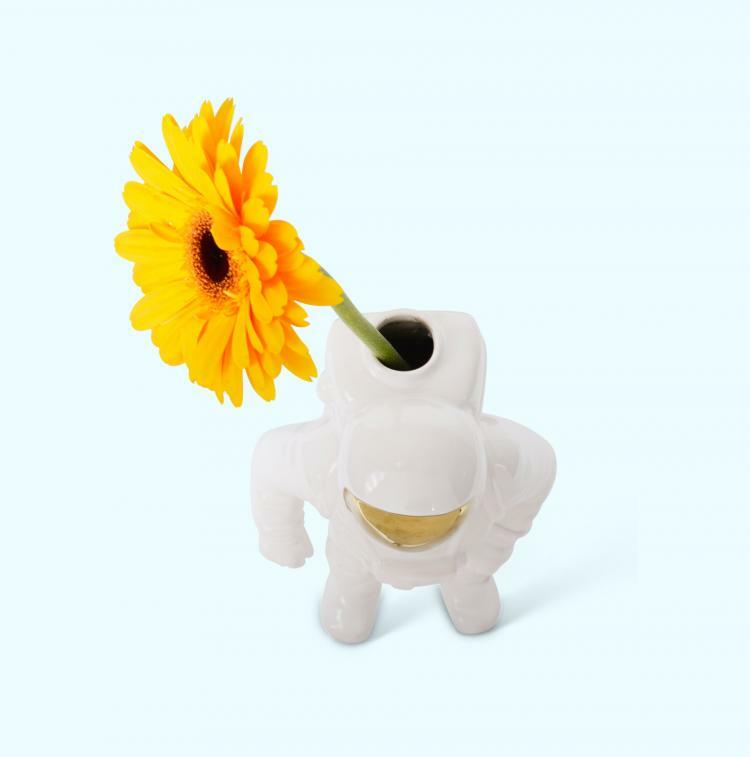 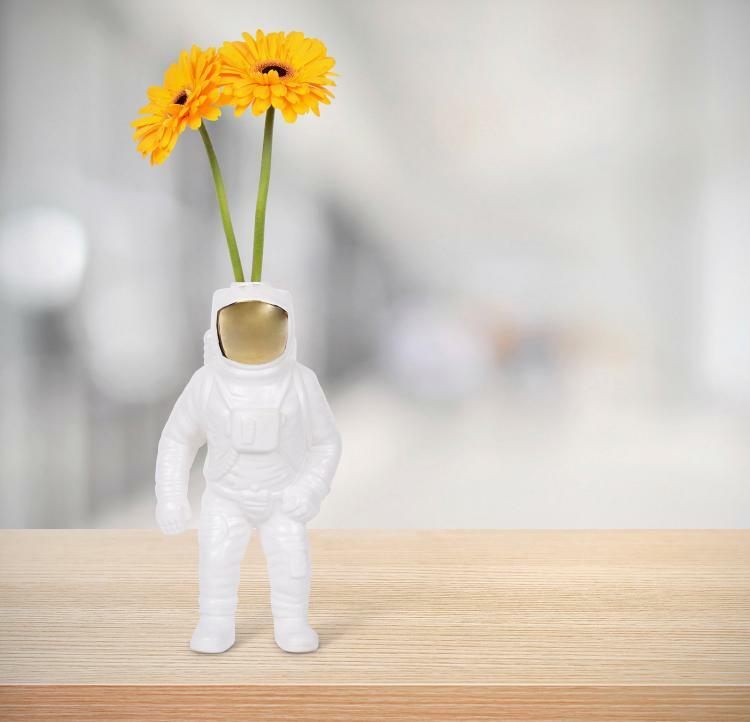 A perfect mixture of technology and nature, the astronaut flower vase aptly named the Starman Vase, is a terrific piece of decor for any space lover, science nerd, or child aspiring to someday become an astronaut. 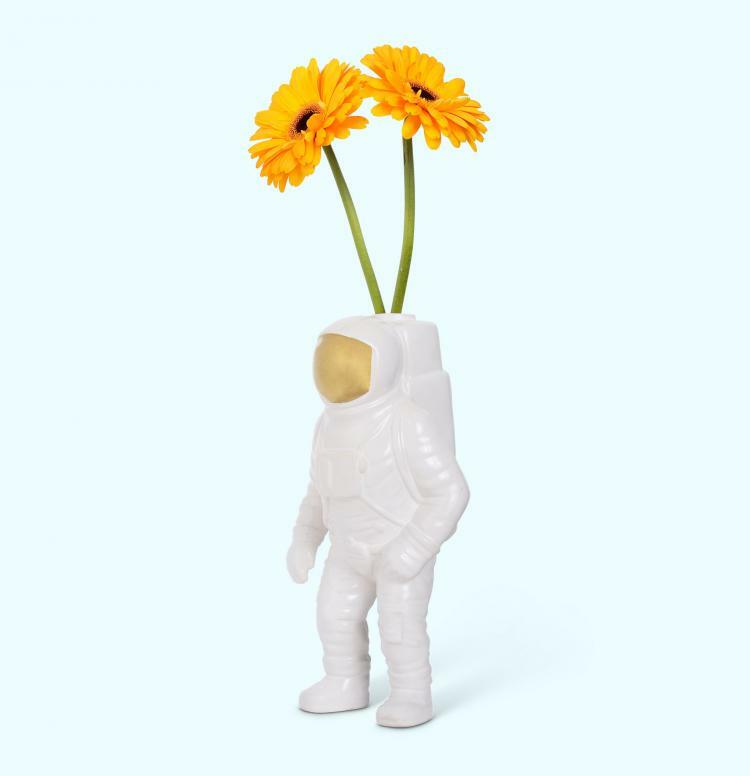 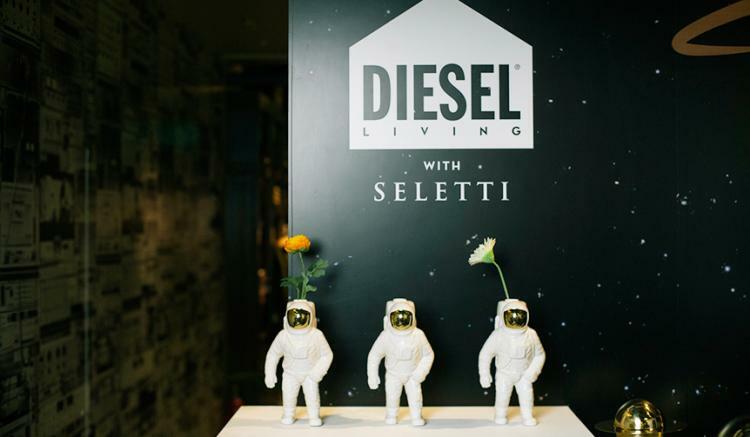 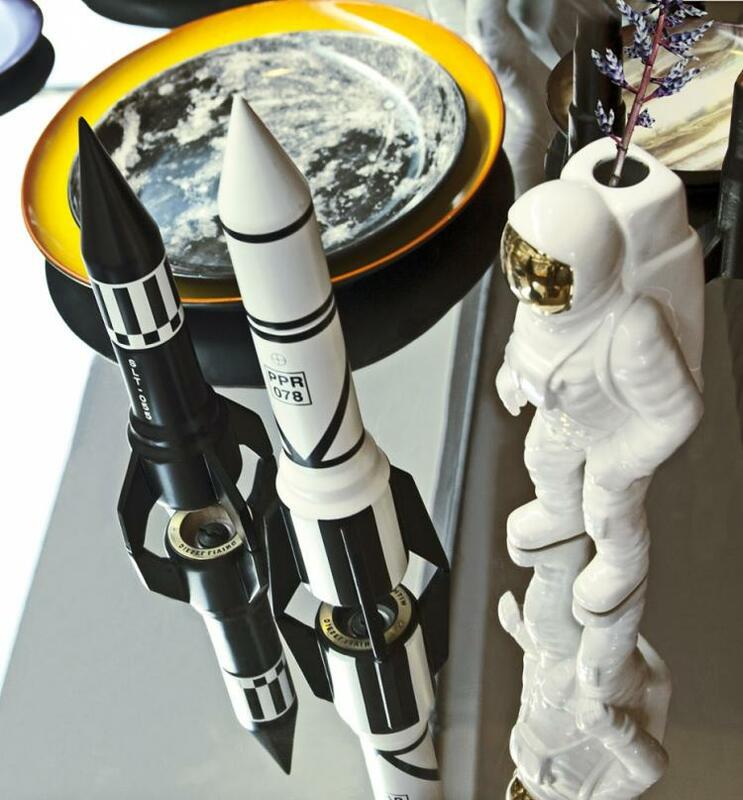 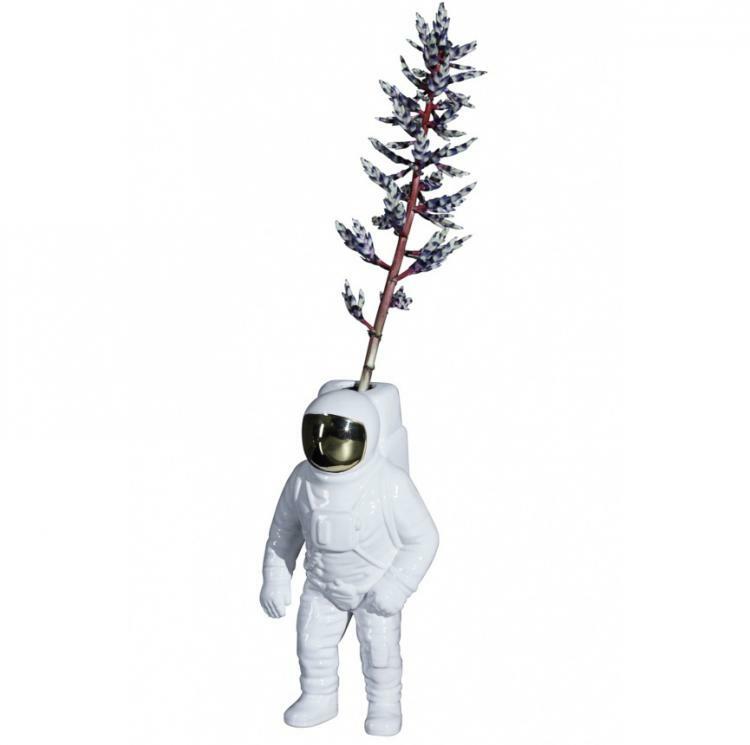 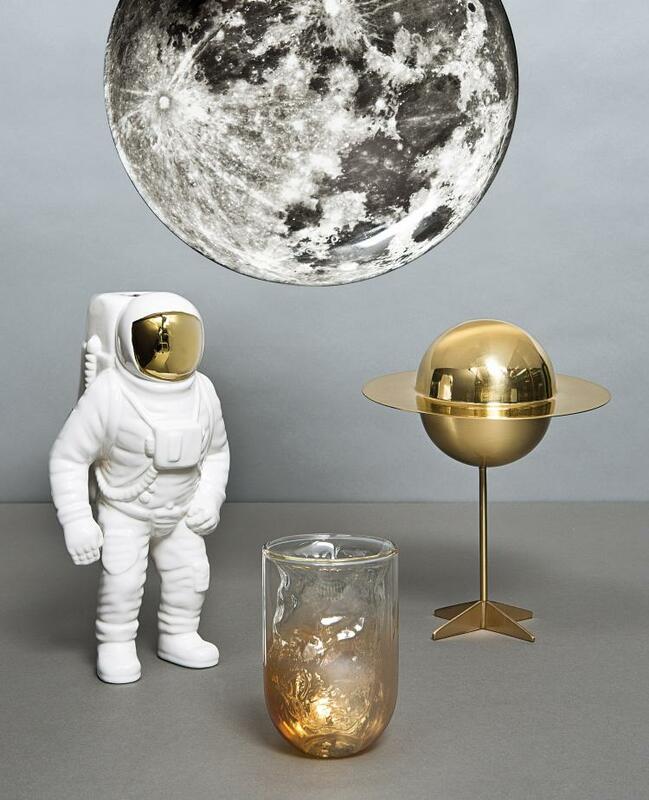 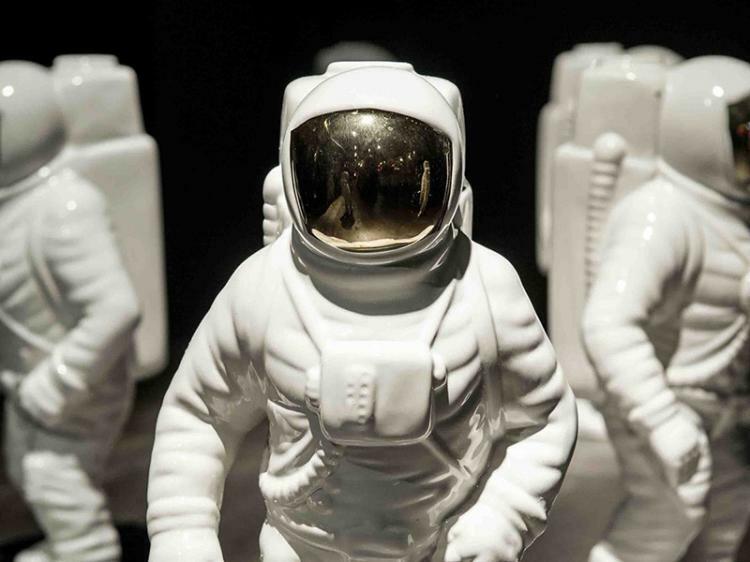 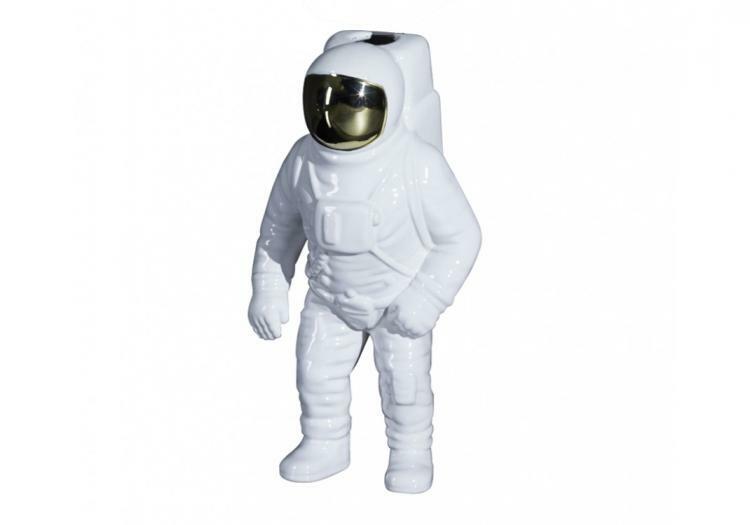 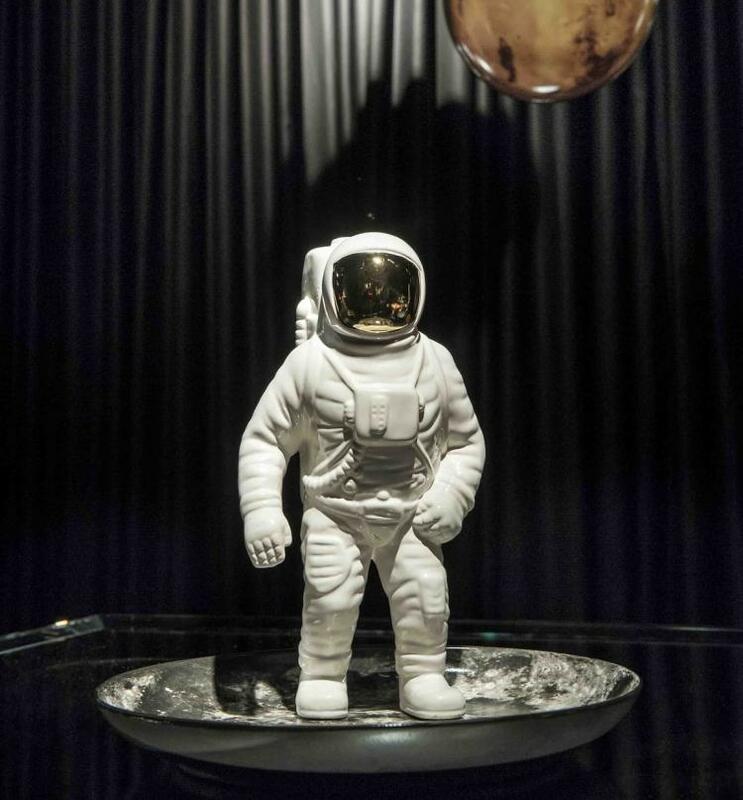 Designed and created by Diesel Living along with Seletti, the Astronaut flower vase is made from ceramic, is extremely refined and detailed, features a peculiar gilding with a vintage effect on the astronauts visor, is white in color, and measures 11.2 inches tall x 5.9 inches wide x 4.3 inches deep.